Kitten season is here and there’s never been a better time to educate yourself on fading kitten syndrome. Various conditions and diseases can trigger fading kitten syndrome, but there are things you can do to prevent it. Every spring, Mother Nature reveals her regenerative power — and the remarkable fecundity of cats, in the form of millions of newborn kittens. Feral cats are the main source of this bounty. Most kittens born of feral mothers will make wonderful pets if they are properly socialized at an early age. Many of these kittens end up in the care of kindhearted people who foster them after they are orphaned or abandoned. Tragically, as spring turns to summer, Mother Nature reveals her darker side and often breaks the hearts of the kindhearted foster parents who have worked hard to nurture young kittens. A staggering proportion of kittens succumb to fading kitten syndrome before they reach nine weeks of age. What are the stats for fading kitten syndrome? Fading kitten syndrome is unfortunately very common. Photography by Branislav Ostojic/Thinkstock. The most recent sources I have seen estimate that even in the best circumstances — in well-managed catteries — 15 percent to 27 percent of kittens die before they are nine weeks old. It should come as no surprise that foster kittens don’t make the best-case-scenario statistics. Being orphaned or abandoned at an early age, with no prospect of a father in the picture under any circumstances, hardly gives an individual a leg up in life. Mortality among litters of foster kittens can be devastatingly high. It is not uncommon for death rates to reach 100 percent. Why does fading kitten syndrome happen? And, more important, what can you do to prevent fading kitten syndrome? The word “syndrome” should be a tip off. Fading kitten syndrome is not a single entity; rather, it describes a large number of problems and conditions that can cause death in young kittens. Most kittens who die from fading kitten syndrome appear to get sick and die suddenly. However, with a few exceptions (such as hypothermia and trauma), the problem generally builds gradually but is very difficult to detect until a crisis develops. I am sorry to say that the prognosis for kittens in crisis is poor. Therefore, the key to reducing fatality from fading kitten syndrome is early detection of subtle problems before a crisis occurs. What are the causes of fading kitten syndrome? Photography by by Nokkapood1977 / Shutterstock. When in crisis, almost all fading kittens exhibit similar symptoms. Profound lethargy, low body temperature, pale gums, low respiratory rate, and failure to root and nurse or eat are nearly universal signs of the syndrome. However, these signs can be caused by a large number of problems. 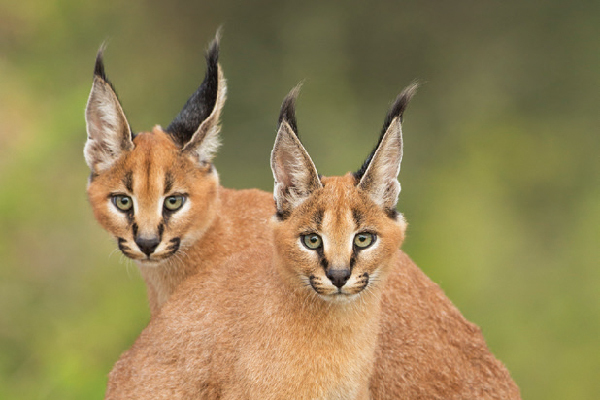 Inadequate mothering — by the feline mother — is a leading risk factor for fading kitten syndrome. Most foster kittens are subject to this risk factor in the extreme, since they were orphaned or abandoned by their mothers. Even kittens with mothers in the picture may be at risk if the mother is inexperienced, unable to produce sufficient milk, unwilling to let the kittens nurse, stressed, malnourished or, paradoxically, obese. Trauma and hypothermia are two causes of fading kitten syndrome that truly come on suddenly. Trauma occurs most frequently when a kitten falls from a height or gets crushed. Hypothermia occurs when kittens get separated from one another and the mother in a chilly environment. Note that hypothermia is either a cause or a result of a fading kitten crisis. Almost all fading kittens in crisis will exhibit hypothermia. Infectious organisms are frequent culprits in fading kitten syndrome. Kittens are at risk of sepsis from bacterial infections. Viral infections with organisms such as feline herpesvirus, calicivirus, panleukopenia, FIV/feline AIDS and feline leukemia virus may trigger the syndrome. Parasitic infestations with roundworms, coccidia or other organisms may trigger crises. Many of these infections are linked to immune system collapse, which is usually associated with a condition called thymus atrophy. Hereditary defects ranging from heart irregularities to undeveloped immune systems may cause fading kitten syndrome. Hemolytic anemia is another possible cause of the syndrome. This condition can occur when a kitten has a different blood type than its mother. When the kitten nurses during the first days of its life, it ingests antibodies that attack its blood cells. 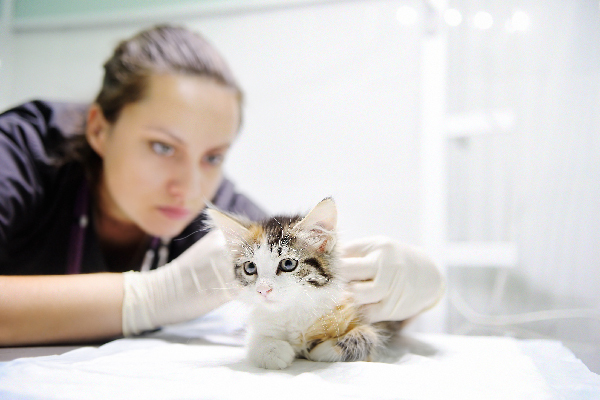 Kittens in crisis generally require treatment by veterinarians. The mainstays of treatment are thermal support, fluids, dextrose (sugar), and often antibiotics. If the affected kitten begins to warm and recover, nutritional support and deworming medications may be added. Sadly, the prognosis for kittens in crisis is poor, and many of them do not survive even with treatment. What are the signs of fading kitten syndrome? Preventing crises is key to reducing fatality from fading kitten syndrome. The early signs of fading kitten syndrome are subtle but often detectable. Sick kittens may not right themselves when turned on their backs. They may not root and suckle normally. Their eyes may not open at the usual age of five to 14 days. They will often be smaller than their littermates. Most important, they may not gain weight normally. Healthy kittens should gain 7 to 10 grams per day. Experts recommend that kittens be weighed on a gram scale at least once daily (and many experts recommend weighing twice daily). High-quality gram scales can be purchased at kitchen supply stores, smoke shops (you can guess what purpose gram scales serve for some people) and online. Kittens who do not gain weight at an appropriate rate should receive extra attention with special focus on feeding. 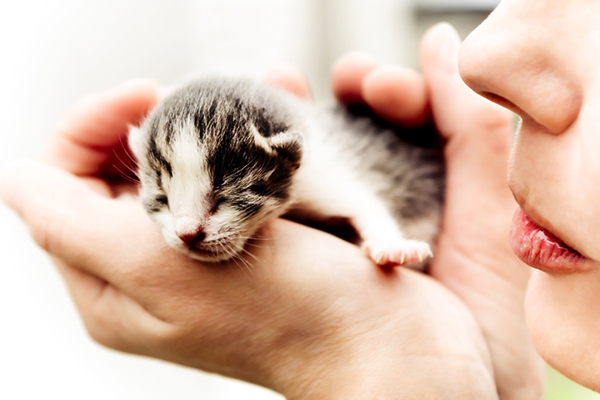 Newborn kittens should be fed formula or milk every two hours. Weaning onto mush can begin at approximately four weeks of age. 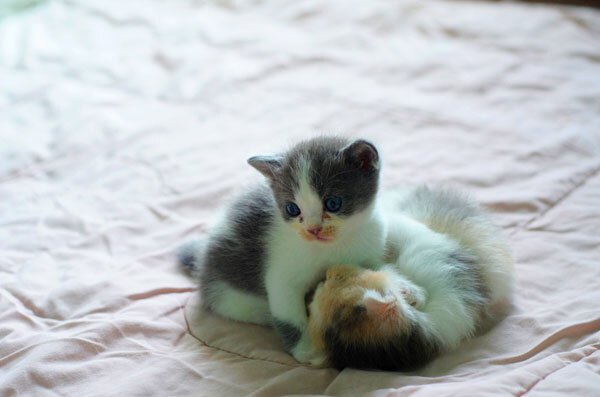 A kitten lost to fading kitten syndrome can sometimes be a harbinger of problems for the littermates. A veterinarian should assess the mother and any remaining kittens after any such incident. Although this article is intended for foster parents, I will throw in a few pieces of advice for breeders. Both the sire and dam should be blood typed prior to breeding, and that information should be used to prevent hemolytic anemia. Both should be tested for feline leukemia and FIV. The mother should be fully vaccinated and dewormed prior to breeding. And remember that the milk consumed in the first day or so, called colostrum, is the most important milk the kittens will consume, because it contains antibodies that protect the kittens from disease. With diligence and early detection, some cases of fading kitten syndrome can be reversed before a crisis develops. However, I am sorry to say that many other cases will not respond to the efforts of even the most involved foster parent. Foster parents, please know that although the loss of a kitten — or even an entire litter of kittens — is heartbreaking, it does not necessarily mean that you have done anything wrong. Please keep up the good work. Thumbnail: Photography ©SbytovaMN | iStock / Getty Images Plus. Can this occur in an older kitten, 5-6 months old? We had a feral kitten that did not grow. Born in the fall. She lived in our garage all winter with heat. She seemed to eat normally. Very shy and could not get her comfortable with us until recently. I held her yesterday for the first time. She weighed next to nothing. Fur camouflages a lot. This morning, I found her dead in her bed. So sad and have regrets. Pingback:Milestone: 30 Kittens Adopted Out! Thank you so much for the info on how to treat a kitten with FKS. We followed your directions to the letter and saved a kitten that was left for dead. The kitten was taking a breath about every 5 seconds or so. It was early Sunday morning and no vets were open. We put the kitten on a heating pad because we were worried about hypothermia and started googling symptoms and found this site. We had agave nectar so we thinned it out slightly and applied it as you said. It worked flawlessly. Took a full hour though. We knew we were on the right track because his breathing improved after about 15 minutes. The only thing we did differently was after 30 minutes we dropped 3 drops of water with a syringe into the kittens mouth until he swallowed it and we kept doing that because we thought if he could get some of the sugar into his stomach it would get into his system faster. We did that in between sugar applications and he drank probably 20cc of water. Once he was revived fully he jumped from a 42 inch high counter top onto the floor and ran like nothing had ever happened. Wasn’t expecting that at all! So, long story short he is in excellent health, is all about playing with a ball and living life! We Googled synonyms for he word lucky and found the word chance, so that is his name, Chance. Thanks for your sound advise! I just had a kitten die on me and i was wondering if it was fading kitten syndrome or hypothermia. The kitten is just shy of 8 weeks old . She was feral and i was there the day she was born because i care for her colony. She was eating and fine yesterday but appeared damp from the rain from the day before. Today i went to feed the colony and found that she was separated from the other kittens and her mom was fetching her over. She was still damp because her fur is the soft cottony persian type. Since it was already 6:45PM i decided to warm her up and take her home since it was getting cold and starting to rain. The mom seemed fine with me taking her baby. I was able to keep her warm and she perked up a little and had some formula (only about 2 tbsp) before she started sleeping. At some point she was kicking in her dream? or maybe i misinterpreted the kicking might have been death throes?! But i left her in a bed of blankets (she kept crawling out of them) and went to do the dishes. When i checked on her about an hour later she was stiff! I;m not sure how a kitten goes from being fine one day to dead within 30 hours when there was no obvious trauma and it was already 8 weeks old. 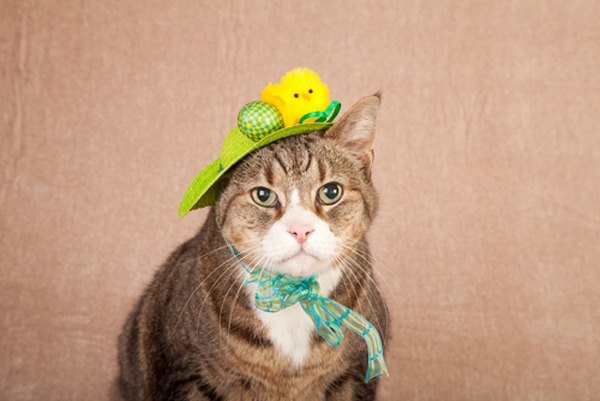 Beth Hill has her information correct with regards to FIV positive cats. Queen Frostine and Patty LaRue need to dig much deeper into facts, stats, and the truth about FIV and FIV positive cats. FIV is NOT the same thing as HIV or AIDS. And when a cat is diagnosed as being FIV positive, it only means that the cat is carrying the anti-bodies for the virus and not the actual virus. There is no test that can detect the actual virus in a cat’s blood or the amount of the virus. Please stop believing and spreading lies. My feral cat mom had 6 kittens.the next morning 1 was found dead. They are now 4 weeks old but this morning the other 5 were playing a couple of hours later 1 of them seems to be dying. I don’t understand what happened.Can someone enlighten me on why this is happening? We suggest taking the kittens to the vet immediately to find out what is wrong. Wow. While we only do rescue cats now, back in 70s and 80s we’d, occasionally, let a promising Queen have a litter before we spayed her. We never lost a kitten, save by putting one down way back in ’72 because of a serious birth defect (cleft-pallet) that left the kitten unable to nurse. Had we the support resources back then, as we do now, I think we would chosen differently. @Beth Hill: Because FIV is the virus that causes AIDS in cats. 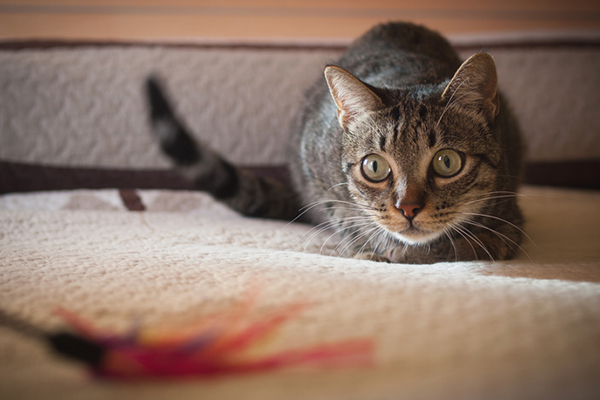 A cat infected with the FIV virus will eventually go on to develop AIDS if it lives long enough, and that’s something the owner must be prepared for. Lying about or denying this fact will not change it. These cats are still worthy of love & good homes but that doesn’t change the reality. AIDS denialism hasn’t worked out well for humans & won’t do cats any favors either. Wrong, as years of having cats with and without FIV living together have shown me as well as better-educated vets. It’s harder to get the correct information but please try because people are killing cats just because of this and they don’t deserve to be killed because of misinformation. @Beth Hill-How can you say there is no connection between AIDS and FIV? It is exactly the same thing. I agree that people need to be educated regarding these cats so as not to be so wary of adopting them, but to tell people that FIV is not the same as HIV or AIDS is not true. Please read the science. It is unfortunate that they have similar names because they are absolutely not the same thing. One reason for kittens dying early is the vaccinations. I was selected by a beautiful seal-pointed 6 week old Ragdoll. She was vaccinated in front of us, before we took her home along with her 10 week old half-sister. She stopped thriving though remaining affectionate. Vet said “too bad, genetic immune problem, can’t help”. Mocha’s sad death plunged me into research, and I found a published Vet who could not convince others of the endocrine-immune- vaccine connection. When our breeder replaced the first with a similar male, I contacted this Vet, who gave instructions in case this problem recurred. It did. This male was vaccinated at 8 weeks, and he began showing signs of a “cold” (same as Mocha) , so the breeder kept him for 5 days. Against my wife’s protests, we brought him home, and I injected him twice daily with hydrocortisone, over 6-8 weeks, tapering gradually at the end. I recall one day coming home to find him appearing dead, but I injected and after 15 minutes he jumped up to play. After a great life of 14 years, sleeping at my feet every night, he suddenly died in my arms of a heart attack one month ago. Without my knowing and treating for this commonly ignored physiology, Hershey would have gone the way of other “faded kittens”, and not enjoyed a full life with us. Addendum: Mocha’s half-sister, Coco, remains the “queen of the house”. I am a breeder of ragdolls and would not subject any kitten ander 1.5 kilo to any invasive injections. I have done a lot if research and if the kittens are still around their mother before leaving (14 weeks) they have immunity that will last a week or two anyway. Innoculationscause stress and 8 weeks is far too young to add that to a little body. There is a vaccine for the most common ailments that can be given via nazal spray. Its not available in UK ….. too cheap for big pharma to make extortionate profits! One reason for kittens dying early is the vaccinations. I was selected by a beautiful seal-pointed 6 week old Ragdoll. She was vaccinated in front of us, before we took her home along with her 10 week old mitted half-sister. She stopped thriving, though remaining affectionate. Vet said “too bad, genetic immune problem, can’t help”. Mocha’s sad death plunged me into research, and I found a published Vet who could not convince others of the endocrine-immune- vaccine connection. When our breeder replaced Mocha with a similarly colored male, I contacted this Vet, who gave instructions in case this problem recurred. It did. This male was vaccinated at 8 weeks, and he began showing signs of a “cold” (same as Mocha) , so the breeder kept him for 5 days. Against my wife’s protests, I brought him home, and I injected him twice daily with hydrocortisone, over 6-8 weeks, tapering gradually at the end. I recall one day coming home to find him appearing dead, but I injected and after 15 minutes he jumped up to play. After a great life of 14 years, sleeping at my feet every night, he suddenly died in my arms of a heart attack one month ago. Without my knowing and treating for this commonly ignored physiology, Hershey would have gone the way of other “faded kittens”, and not enjoyed a full life with us. Addendum: Mocha’s half-sister, Coco, remains our “queen of the house”. The writer of the article seems to be writing from and for a breeder’s perspective. With hundreds of thousands of cats being euthanized for lack of shelter space, and hundreds or thousands of unplanned litters of kittens born in each metro area each year, the LAST thing the world needs is people breeding more kittens on purpose. Every kitten bred by a breeder is a death sentence for on sitting in a shelter. Shame on you, cat and dog breeders. Get a real job. Or no job. I’d rather you sit around eating bonbons and watching TV than breeding dogs and cats while we already have an excess yearly to available have homes. Your activity is the opposite of positive and productive. We need dog and cat breeders like we need meth dealers – we don’t. Your activities hurt animals and cost millions in tax dollars and immeasurable suffering to adoptable animals who end up with no quality of life and an early death due to being on the street or in a shelter instead of in a home. Shame on you. I personally think that cat breeders would just STOP doing that! We do not need more cats in this world – there are far too many who die alonoe and unloved, and they are just as wonderful as a “pure bred” cat and possibly a lot healthier as well. I wish we didnt even support people who breed animals. I think it is atrocious and even barbaric to do that! I will go even farther, in saying that breeding animals should be illegal. If animal breeding were illegal, we would have no more pure breed dogs, like the golden retriever. We NEED to breed animals or else they will either die out or thrive in the wild. I have heard the same thing, TJF, regarding the “triangle face”. When I fostered kittens I learned that subcutaneous fluids – water with a drop of Karo syrup would help keep a fading, lethargic kitten from dying. I have lost 3 out of 17 neonatal kittens. This article has excellent information. It is heartbreaking. Why do so many insist on calling FIV positive cats, AIDS cats? There is absolutely no correlation between these two illnesses. 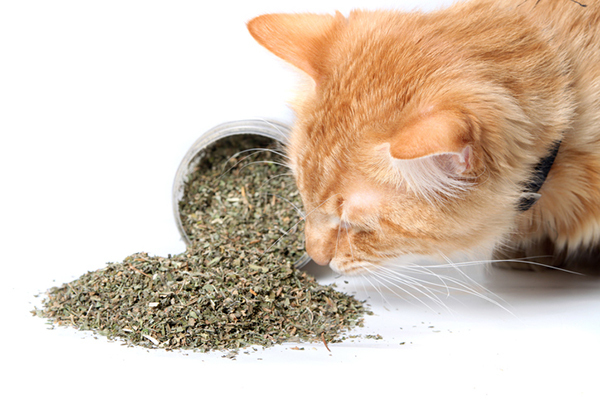 What this does do is put fear in the population about adopting these otherwise healthy cats. It’s very upsetting to see this constantly printed. Thanks for hearing me. When I was volunteering at a kitten nursery at our local pet rescue, I learned about that Triangle Face symptom, where one of the pre-cursors ( not always, mind you, but sometimes ) is that the kitten, as a result of not gaining weight like his litter mates, gets a thin, triangular look to his face, as opposed to a round face. That is another synptom, to a lay person, to watch out for.